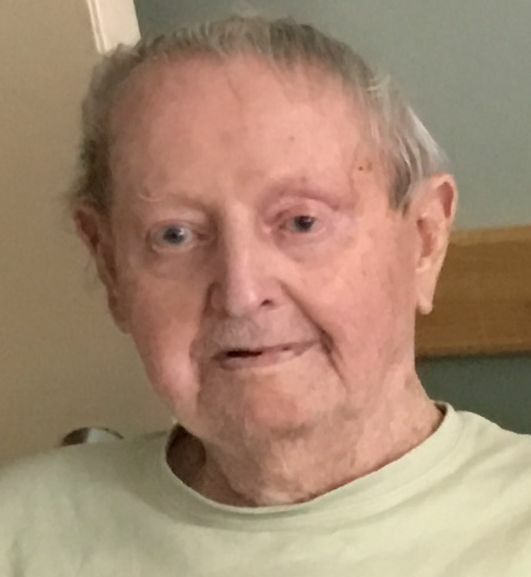 Albany - DuWayne ‘Jeeper’ A. St. John, 90, formerly of Mohawk Street, Albany, died Monday, April 8, 2019, at Hudson Park Rehab. and Nursing Center Albany after a long illness. Born in Albany, he was son of the late Eugene St. John and Catherine Hall St. John. He resided in North Albany most of his life and was a graduate of Albany city schools. An avid gardener, Jeep served as principal groundskeeper for the Samuel Stratton VA Medical Center for almost 40 years. His love of flowers was evidenced through the many beautiful flower beds carefully and meticulously planned and maintained by his team at the VA. He was a member and Past Commander of the North Albany American Legion Post #1610, VFW Post Watervliet #729, and a member of Watervliet Lodge of Elks #1500 and the Purple Heart Association, having been awarded four Purple Hearts for injuries sustained while serving in the Army and Marine Corps during the Korean War. A quiet and carefree spirit, Jeep enjoyed simple pleasures. He was an active participant and loyal supporter of the Albany Lancers Drum and Bugle Corp, as well as an expert chess player, a seasoned traveler, an aficionado of Disney Movies, and a die-hard Buffalo Bills fan. Although he never married, he could easily find his way around the dance floor, often courting his nieces. Making friends came naturally to Jeep and he was always available to offer a helping hand to anyone in need. A gentle and generous soul to his core, he took special care in choosing just the right gifts at Christmas, especially for his nieces and nephews. grandnephews, and great grandnieces. He was predeceased by a sister and brother-in-law, Catherine and Edward Reis, his sisters-in-law, Anna (Marino) St. John and Dorothy (Dillon) St. John, and three nephews, Robert St. John, Jr., James St. John and Edward Reis, Jr. Relatives and friends may call at the Bryce Funeral Home, Inc. 276 Pawling Avenue Troy on Wednesday, April 10, 2019 from 4-7 PM. Funeral service will be held Thursday at 9 AM at the funeral home and at 9:30 AM at Our Lady of Victory Church, Troy, where a Mass of Christian Burial will be celebrated by Rev. Randall Patterson, Pastor. Interment will be in Gerald B.H. Solomon Saratoga National Cemetery, Schuylerville. Although Jeep delighted in flowers, contributions may be made in memory of DuWayne A. St. John to the Watervliet Lodge of Elks #1500 or the American Legion Post #1610 in North Albany or the VFW Post Watervliet #729.